At the close of last week’s episode in the story of Magna Carta, King John had managed to alienate almost everyone in England, as well as the French and the Pope – an impressive array of enemies. Nevertheless, John remained king. And in medieval England, the king was God’s anointed representative on earth. Many of John’s abuses were due to his need for money. 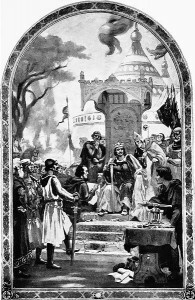 The last king, his brother Richard, had emptied the royal treasury for his crusading expenses, and John needed to pay for his wars against France. The king raised funds in a way that made him unpopular to all levels of society. John even turned the pope’s interdict to his advantage by collecting church fees that would have gone to Rome. John didn’t negotiate with the pope until the Church endorsed the French king’s plans to invade England. John didn’t have the resources or support to refute an invasion, so he accepted the pope’s authority. Signing of Magna Carta by Ernest Normand. 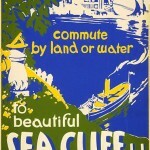 US Public Domain. Wikimedia Commons. The barons revolted in May 1215. By early summer the barons had taken London and cornered the king at Windsor Castle. They refused to withdraw until the king signed a document guaranteeing their rights. On June 15, 1215 the parties met at Runnymede, a meadow by the Thames River. 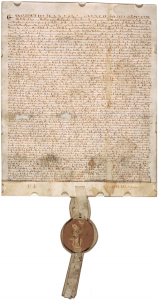 Reluctantly, the king placed his seal on what became known as Magna Carta. MAGNA CARTA. Note wax seal at bottom. The document has sixty-three clauses, most of which confirmed the barons in their feudal contractual rights. But there are glimmers of modern liberal thoughts. The king’s rights were limited by custom in his relations with all levels of society, and the term “Englishmen” occasionally included women. • A widow would not be compelled to marry against her wishes. The king could, however, forbid a match. Though not exactly granting women their choice of marriage partner, the clause was a radical concept when marriage was about property, not personal preference. • No free man could be arrested, imprisoned, or have his property confiscated without the legal judgment of his peers or the law of the land. • The king could not claim feudal scutage, aids, or reliefs unless in keeping with common counsel. 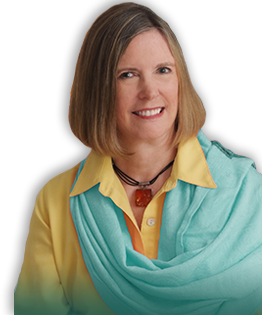 Bottom Line – The law no longer came out of the “king’s mouth.” Instead, the king for the first time was placed under the law. And to keep the king honest, the barons appointed a watch-dog committee of twenty-five barons. If the king violated his agreement, they would inform him of the breach. If he continued the behavior, the committee would summon the people to “distrain and distress him in every way possible” except killing him. It was and is a great document. But John had no intention of keeping his word. He immediately complained to the pope that he had signed under duress. The pope was quick to recognize the potential threat to all rulers “appointed by God,” and issued a bull absolving John from his oath. The barons went back to war. The French king invaded England, and by the time John died in 1216, the French held London. After John’s death, the barons ended their rebellion to support young Henry III. The French were drive out. 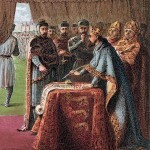 Henry III and his advisors reissued Magna Carta, and English government began its evolution to Parliamentary rule. 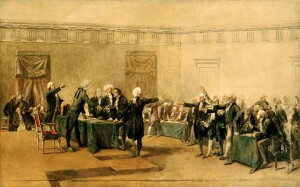 Signing of the Declaration of Independence by Charles Edouard Armand-Dumaresq. US Public Domain. Wikimedia Commons. Fast-forward five hundred years to 1776 British America. The colonists believed King George III had overstepped his authority by levying taxes and controlling commerce. 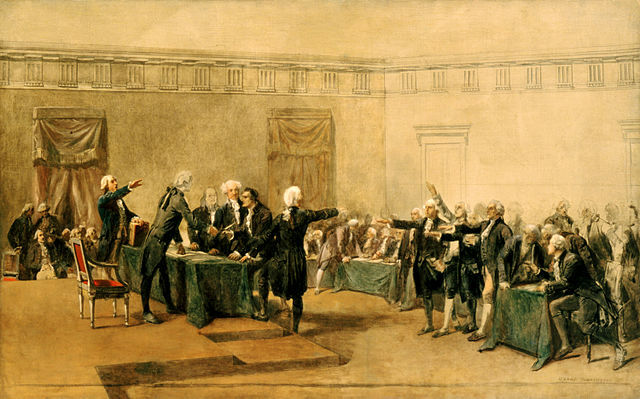 When Thomas Jefferson sat down to compose a document outlining the American case against Britain, the longest section outlined the king’s crimes against his American subjects. Such being the case, they had no choice but to invoke the right of rebellion first set out in Magna Carta. Next Saturday Americans celebrate the Declaration of Independence first proclaimed on July 4, 1776. In so doing, we also declare the continued relevance of Magna Carta. Featured Image: John and Barons. 1868. By Joseph Martin Kronheim. US Public Domain. Wikimedia Commons. 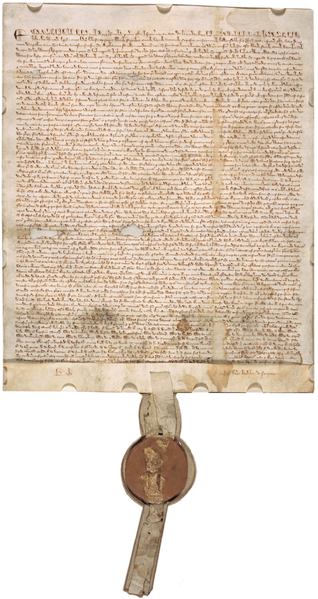 Image of Magna Carta, 1297 version. Owned by David M. Rubinstein and on public display in the West Rotunda Gallery of National Archives Building. US Public Domain. 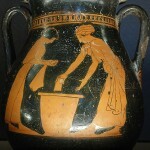 Wikimedia Commons.